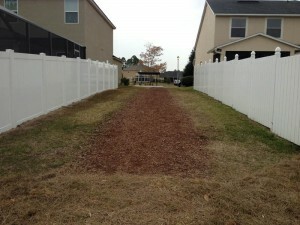 Residential Landscaping Jacksonville: Our Work Speaks For Itself! How do you feel when you look out onto your front or back yard? Do you feel filled with joy and pleased with the landscaping design, or do you roll your eyes and wish that you were looking at something different? Here at C&L Landscape, we want you to know that we’re available for all types of residential landscaping design projects! We want you to fall in love with your front or back yard all over again, seeing it as a place for fun and entertaining, not merely a swath of grass that you have to mow and water. To inspire your dreams for residential landscaping, we regularly put photos of our past work right here on the C&L website! We hope these examples will help to show you how diverse our landscaping design work truly is. Be sure to contact us if there’s anything you’d like to see on your own property! 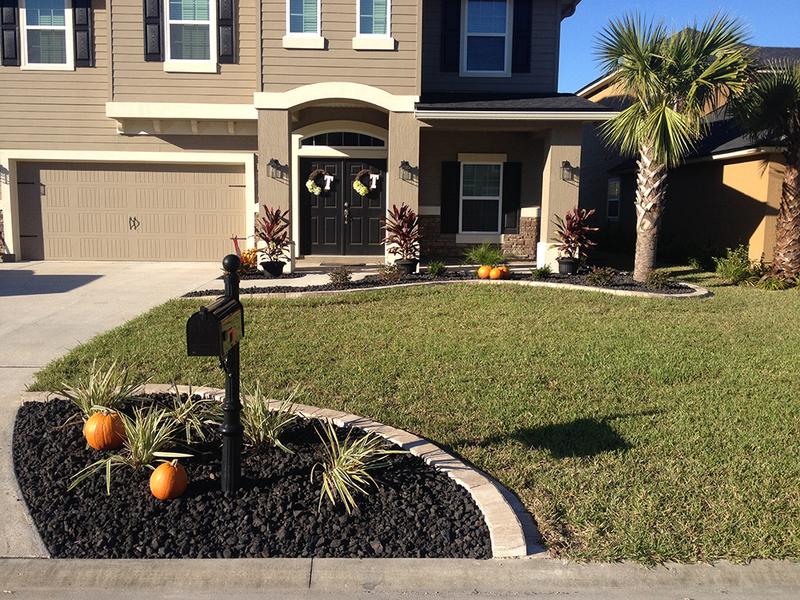 Here’s an example of a small scope residential landscaping job we completed in Jacksonville. By simply adding a border, colored rocks, and native plants in front of the porch and around the mailbox, we were able to take this front yard from ‘blah’ to ‘brilliant’! …Or Large For C & L Landscape! These before and after images demonstrate the type of large residential landscaping projects we really enjoy here at C&L. The area between these two homes was underutilized when it was only turf. But by adding a beautiful walkway made from landscaping stones, we were able to create an inviting path upon which residents could conveniently travel to the sitting area beyond. Let your imagination run wild! 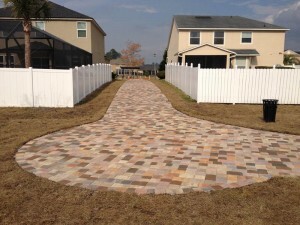 Contact C&L Landscape for residential landscaping projects in Jacksonville.